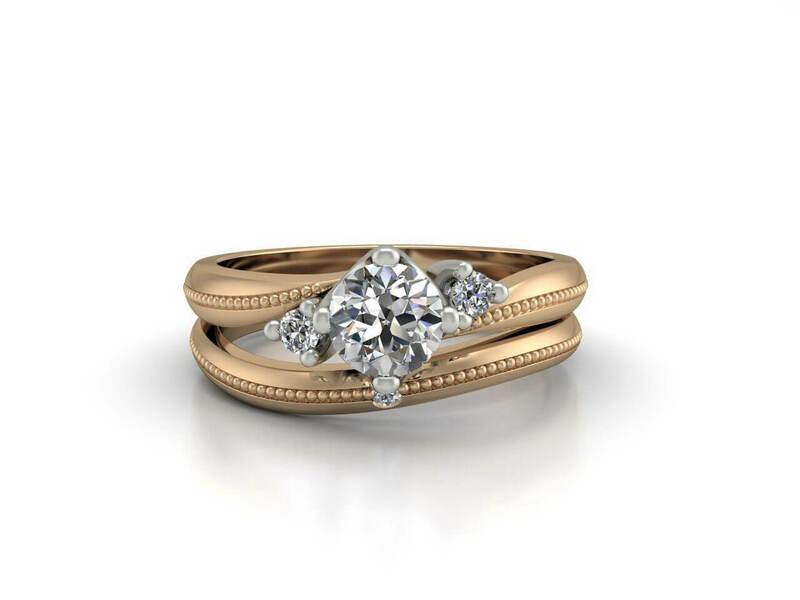 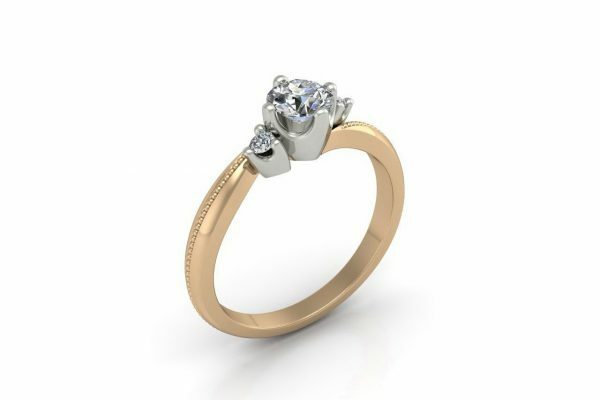 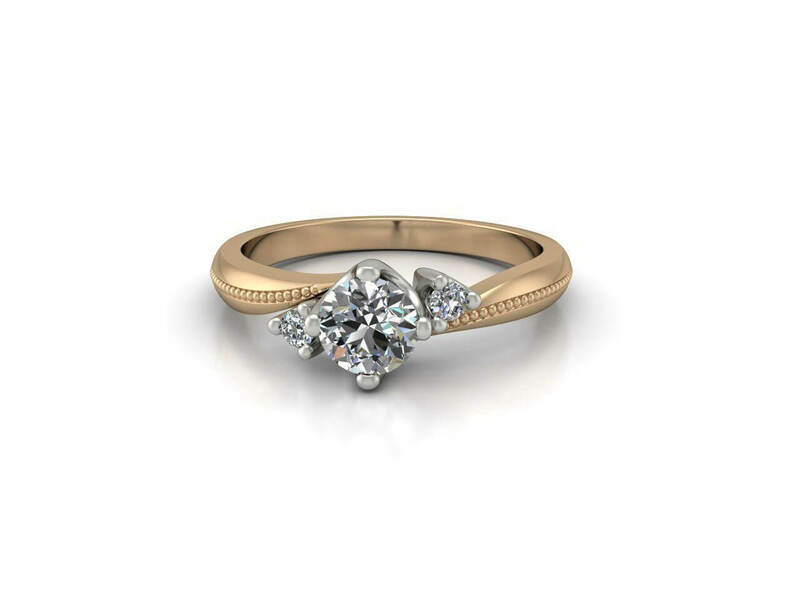 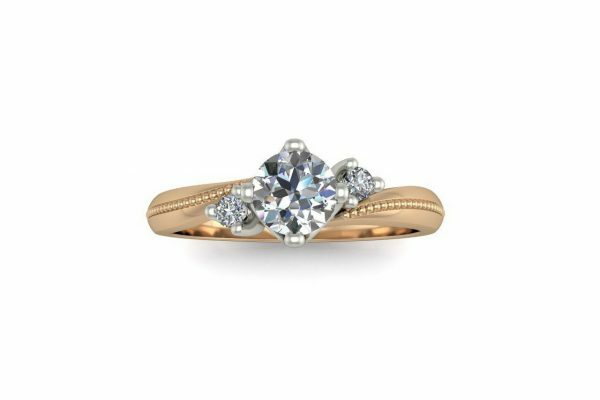 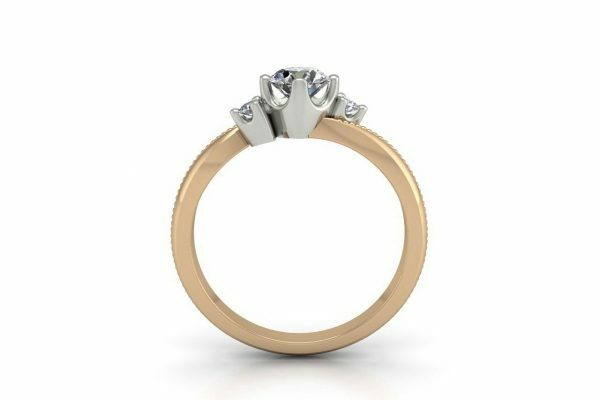 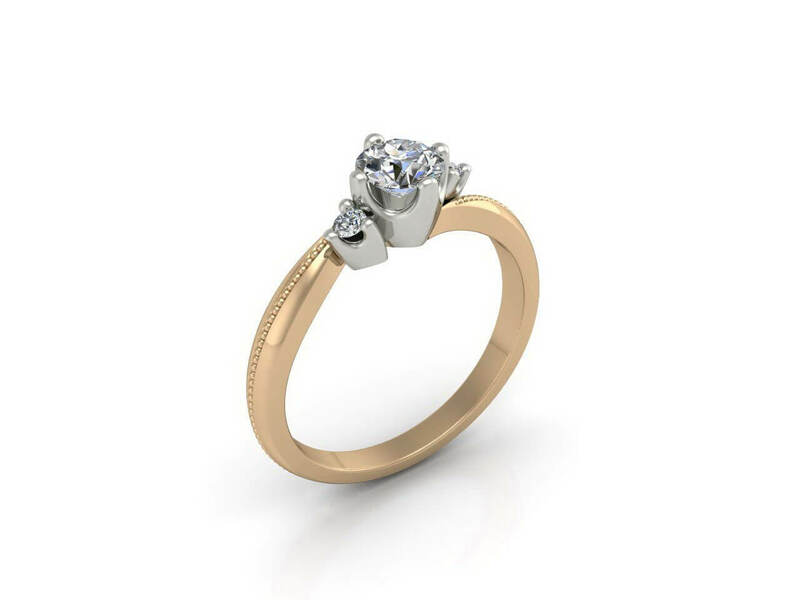 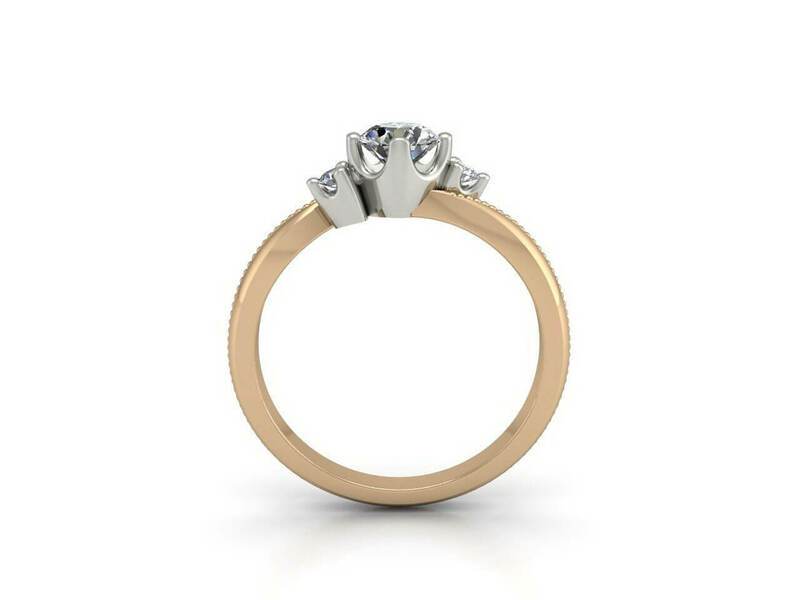 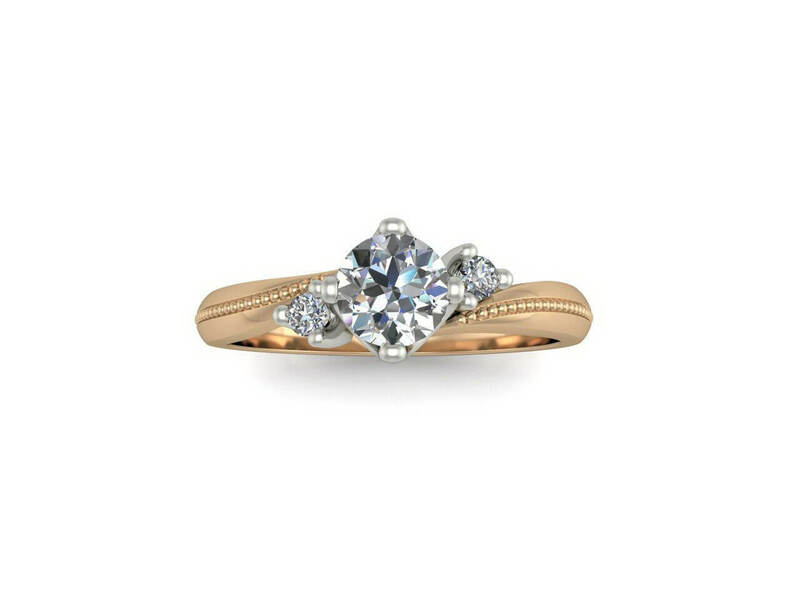 A modern 18k rose gold 3-stone diamond ring with thee round brilliant cut diamonds secured within a low claw setting on top of a waved beaded band. 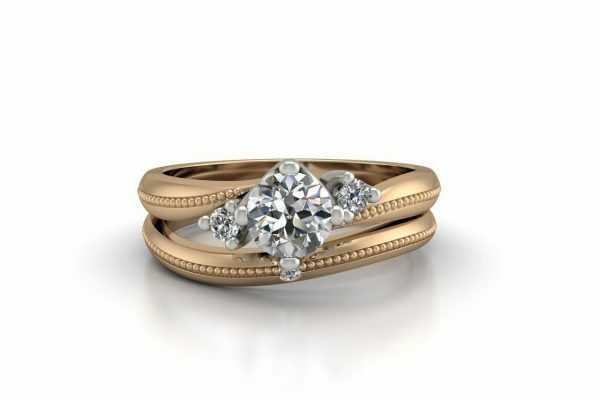 This is a unique trilogy design that should not be overlooked. 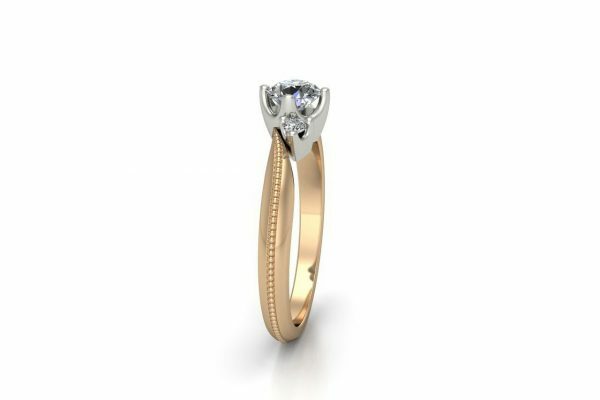 Can also be made in yellow or white gold or platinum and set with your choice of coloured stones.